A few months back, I mentioned the four giclées that Kevin Kidney and Jody Daily designed in honor of Disneyland’s 55th anniversary. 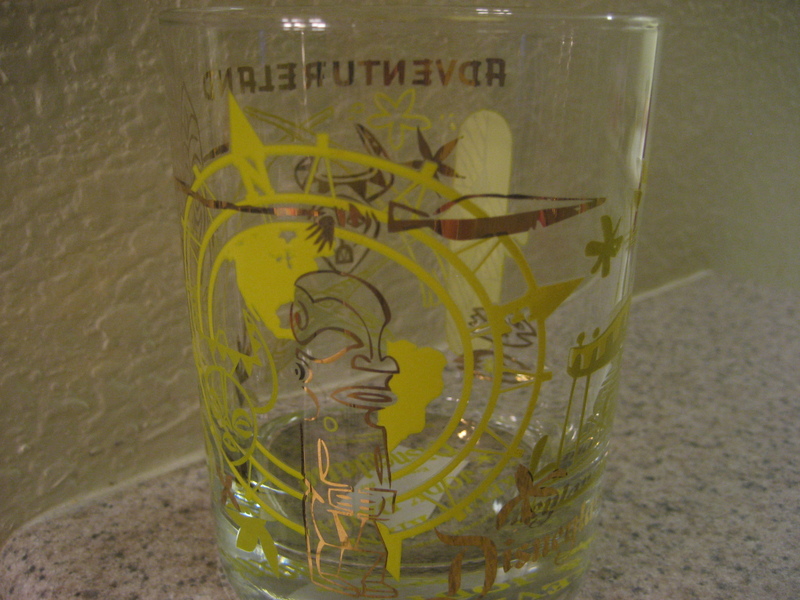 When I was back there in December, I discovered that they had spun off those images onto glasses, like this one with the tiki from Adventureland. They look neat, though alas not very photogenic (at least not with my camera skills)—and for $7 they’re practically a steal. (You couldn’t even buy two churros for that.) Don’t count on getting a full set, though, the Fantasyland ones seem to have been sold out since Day One. Is this one still there? I hope to get one soon! As of January 16, they still had these in the Disney Gallery, so I’m pretty sure yes! Wow, what a cool item! I want one. 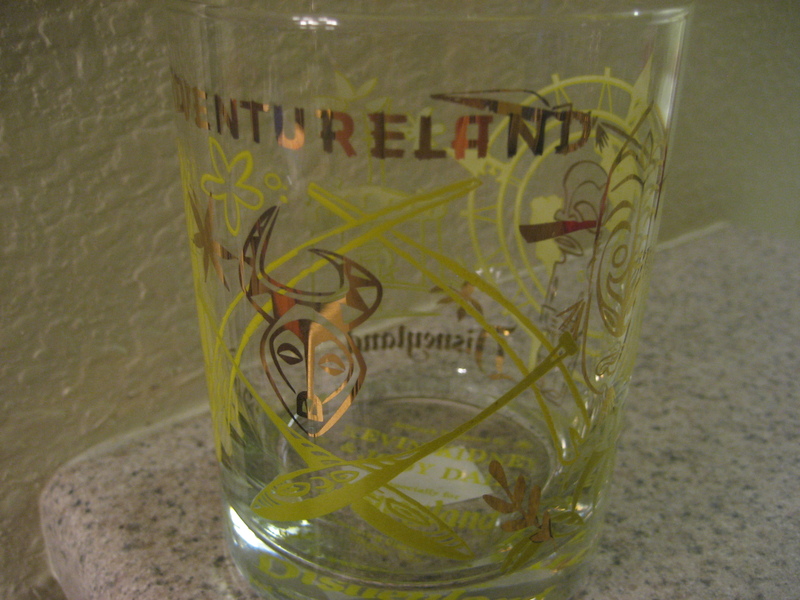 I am dying to get one of these, they had them for all 4 lands, but when I was at disneyland last November they were out of just adventureland. Any ideas where others can be purchased? Yeah, the availability is constantly changing. Have you tried calling the Disney merchandise line? (800-362-4533) They will usually ship items.